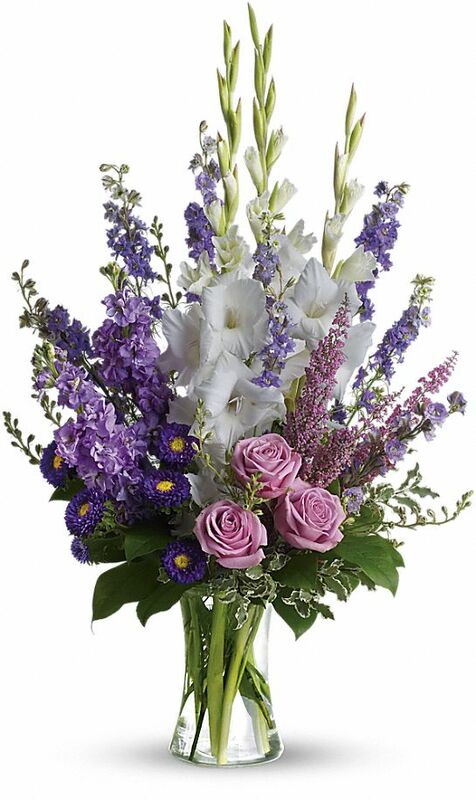 Provide comfort for the family of Eileen Friedrich with a meaningful gesture of sympathy. 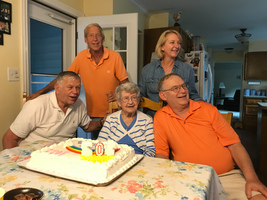 Eileen M. Friedrich, 102, loving wife of the late Andrew P.; dear mother of Andrew P., Jr. (Terry Meeuwsen), Michael C. (Mary), William J. (Debbie) and Maredith (Greg) Stoffel; cherished grandmother of Brian, Kate, Drew, Tory, J.P., Tyler, Alysa, Zoya, Sophia, Patrick, Becky, Kristin, Taylor, Carly and Lauren and great grandmother of 9; dear sister of the late Gladys, Philip and Harold. Eileen Mary Friedrich was born on the South Side of Chicago, where she lived for the first 50 years of her life. She had a difficult early childhood due to her mother’s chronic illness. She had to live with various relatives in Illinois and elsewhere. Her mom died when she was 8 years old. She had one sister and 3 brothers, one of whom died in infancy. She married Andy Friedrich in 1940 and they were married until his death in 2003, 62 years. They were blessed with 4 healthy children, 3 boys and a girl. In 1966 she moved to the western suburbs with her family, where she lived for the next 52 years. She had 15 grandchildren and 9 great-grandchildren. She was just a great mom, kind of a mix of Harriet Nelson, June Cleaver and Carol Brady. She was a cub scout den mother, a mother's club officer, she made sure her kids didn’t have to walk home in freezing temperatures, and she was a great help with homework. Whatever a mom needed to do, she gladly did. The greatest gift she and dad gave us was our faith in God. We all attended Catholic school, some for as many as 16 years. She provided us all with her example of what being a Catholic was all about. She was certainly not intimidated by the computer-age. She was excited to get her first computer and quickly learned to use the internet. She kept in touch with her out of state kids by skyping, sometimes as long as an hour at a time. And she enjoyed making comments on her kids and grandkids pages on social media. 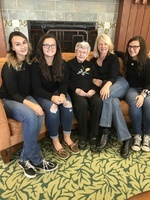 She never dreamed that she would live to be 102 years old, but as her 100th birthday began to loom it became very clear that she had every intention of being there to blow out the candles. And she made it with almost 3 extra years added on. 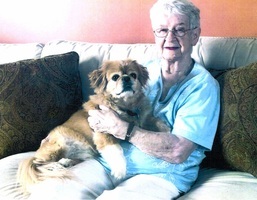 She was dearly loved and admired and will be missed by many. Visitation 9:00 am until time of mass 10:30 am at the Sacred Heart Chapel of Clare Oaks, 825 Carillon Dr. Bartlett, Il. 60103. Cremation will be private following Eileen's funeral mass. In lieu of flowers donations to the Sisters of St. Joseph Third Order of St. Francis would be appreciated. Diane & Norman Wand purchased flowers for the family of Eileen Friedrich. 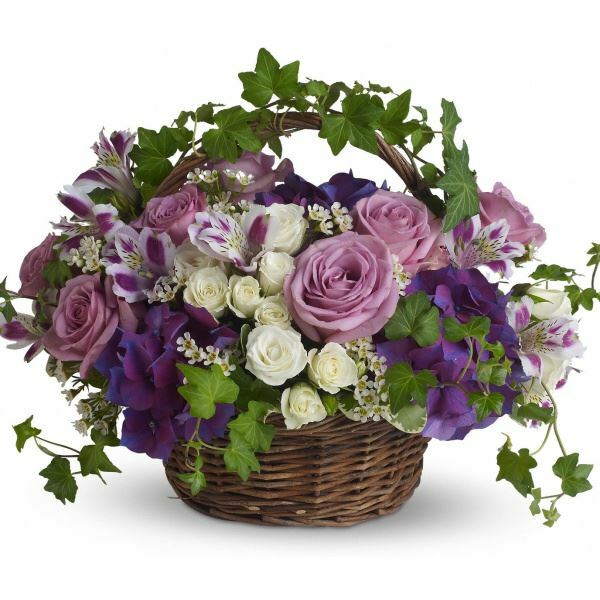 Andy, Mike, Bill and Maredith -Our deepest sympathy to each of you on the passing of your mother. We are with you in spirit during these days. Heartfelt Sympathies Store purchased flowers for the family of Eileen Friedrich.